Aloe Barbadensis Leaf Juice, Sucrose, Dehydroxanthan Gum, Cannabis Sativa (Hemp) Seed Oil, Panthenol, Hydrolyzed Quinoa, Hydrolyzed Oats, Citrus Aurantifolia (Lime) Peel Oil, Benzyl Alcohol (and) Salicylic Acid (and) Glycerin (and) Sorbic Acid. Wet hair. 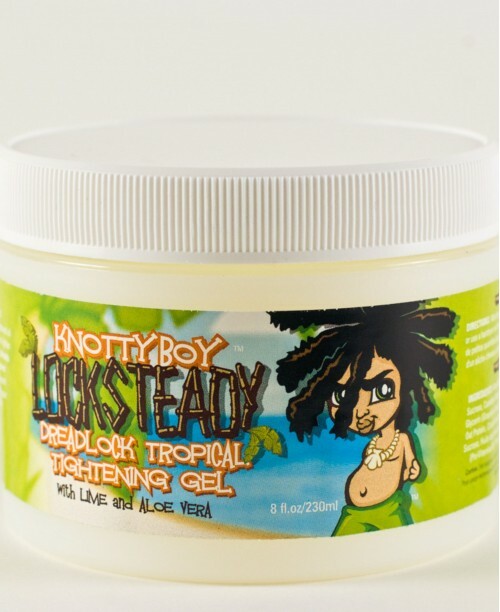 Work small amounts of gel into dreadlocked hair, then palm-roll each lock. For maximum hold, palm-roll again while still tacky.